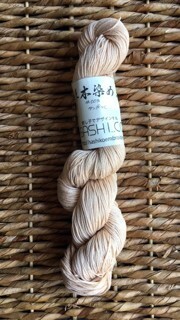 Latte coloured -Hand-dyed Sashiko Thread, using a Tangala dye, by Sashi.Co. 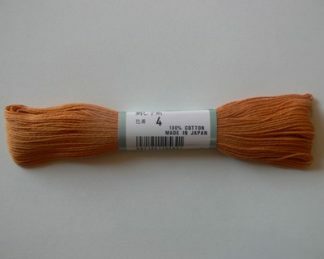 This Japanese thread is available in 32gm skeins of 145 metres. 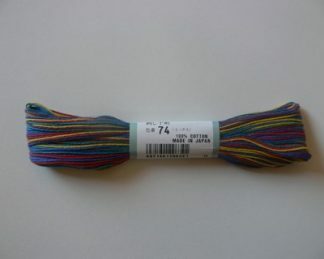 The thread’s unique, soft colour has been formulated by renowned sashiko artist Keiko Futatsuya—it has a slight sheen to it and sews beautifully. 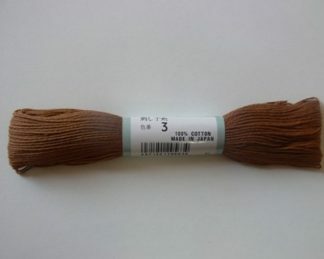 Sashi.co hand-produces these threads in one-off batches of colour, and as such we cannot guarantee a batch will ever be repeated.